The Economics and Budget Board of HCMC People’s Council worked with authorized agencies on goods preparation for the coming Tet holiday at a meeting on December 11. At the meeting, deputy head of Trade Management Division under the HCMC Department of Industry and Trade Le Vo Bich Dong said that the volume of necessary goods for the Tet holiday has increased 13.2-16.9 percent compared to the city’s plan and 23-26 percent over the same period last year. Commodities prepared with large volume include poultry, chicken egg, processed food, cattle meat, cooking oil and rice. They are able to control 32-58 percent market demand. The total value of food and foodstuff which businesses have produced for two months before and after the Tet holiday is VND18,425 billion (US$791.88 million), up 3.44 percent over the same period last year. Of these, subsidized goods value is VND7,533 billion. Goods quantity transported to wholesale markets is expected to raise 80 percent over normal near the Tet holiday, reaching 15,000-16,000 tons a day. Consumption of beer and beverage is forecast to approximate 42.2 million liters and 48.5 million liters respectively in the Tet month, up 30 percent over normal. Beer plants have said that they would not increase prices in the Tet holiday. In addition, city residents are predicted to buy 600,000-700,000 apricot blossom pots, 250,000-300,000 ornamental plant pots and 135 millions of sprigs of flowers. 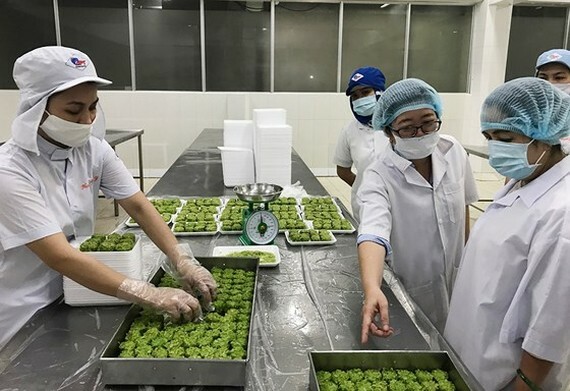 Two large flower markets Ho Thi Ky and Dam Sen and two wholesale markets including Binh Dien and Thu Duc will supply about 80 percent of flower sprig market share in the city. Mr. Pham Thanh Kien, director of the HCMC Department of Industry and Trade, said that poultry, sugar, egg and rice supply has been abundant in the city since early this year so prices have been stable. The prices of vegetables, fruits and seafood have slightly increased because of long lasting rain and flooding. 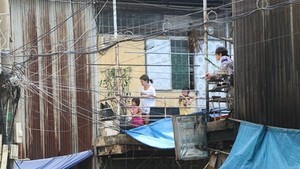 They are expected to gradually be stable and reduce near the Tet holiday. Other necessary goods will see abundant supply and stable prices.